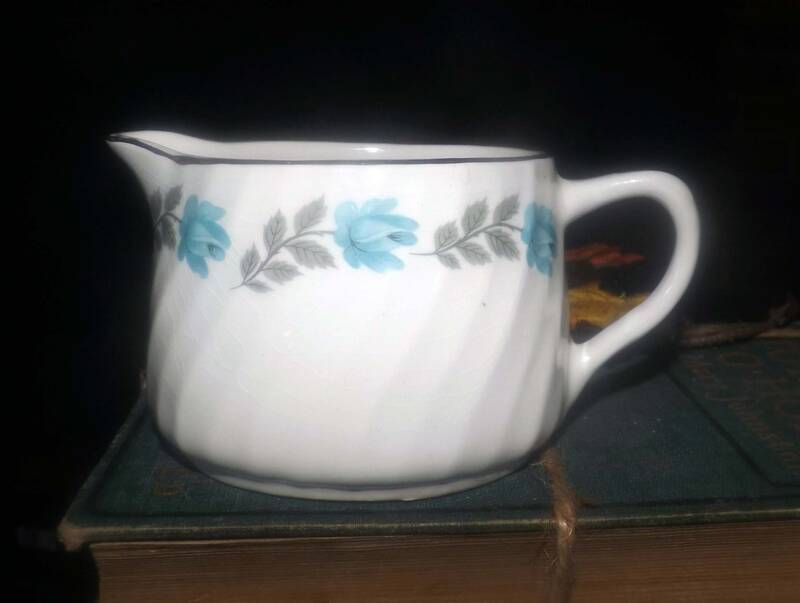 Early mid-century (1940s) Barratts Delphatic line creamer | milk jug. 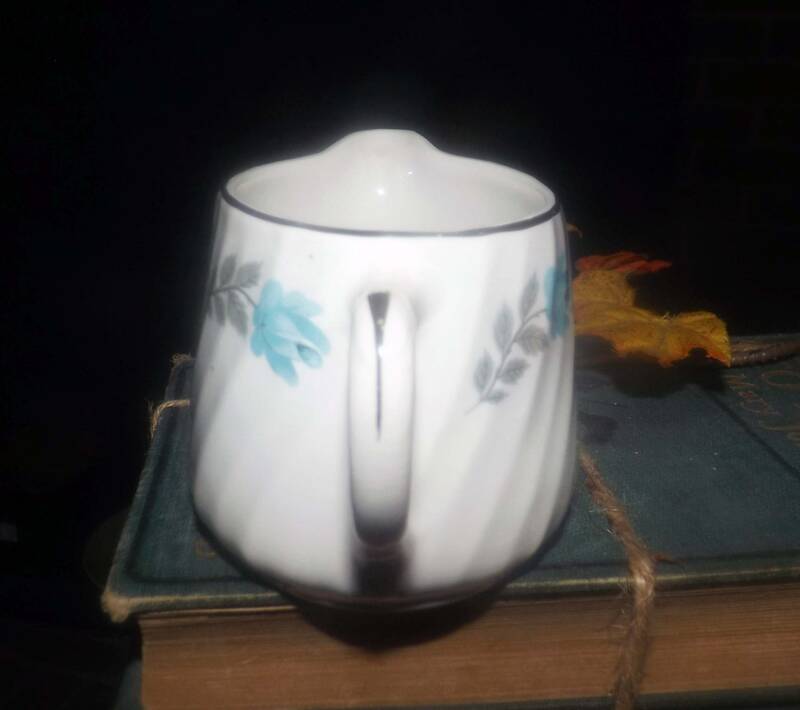 Blue roses, grey leaves, platinum edge, swirled body. 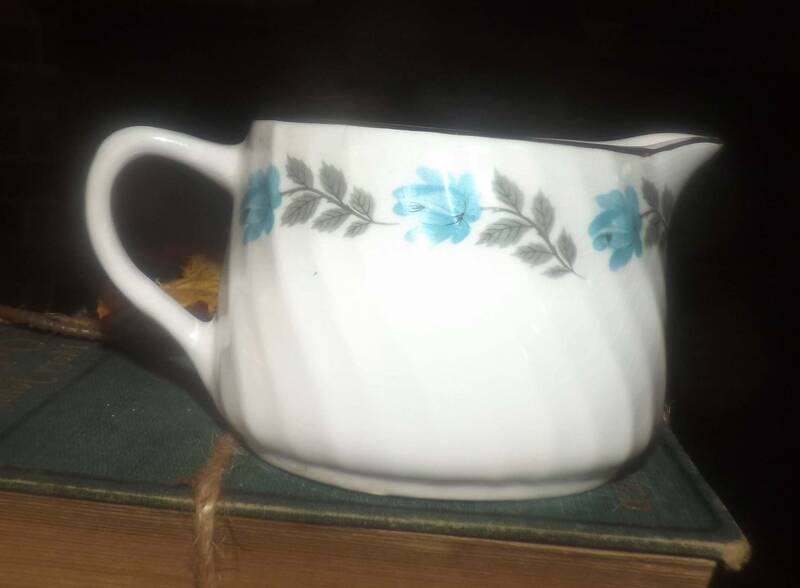 Early mid-century (1940s) Barratts Delphatic White creamer or milk jug. 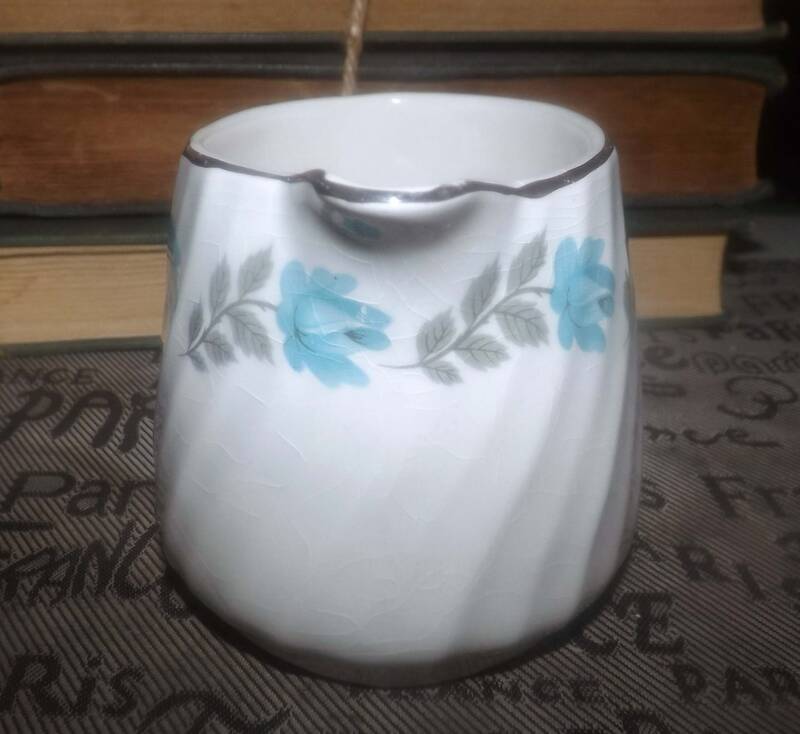 An unknown pattern, this design features blue roses and grey leaves set against a white ground with a swirled body shape and a platinum edge and accents. In EXCELLENT! condition with NO! chips, nicks, cracks or fleabites and LITTLE TO NO! loss to the smooth, platinum edge. 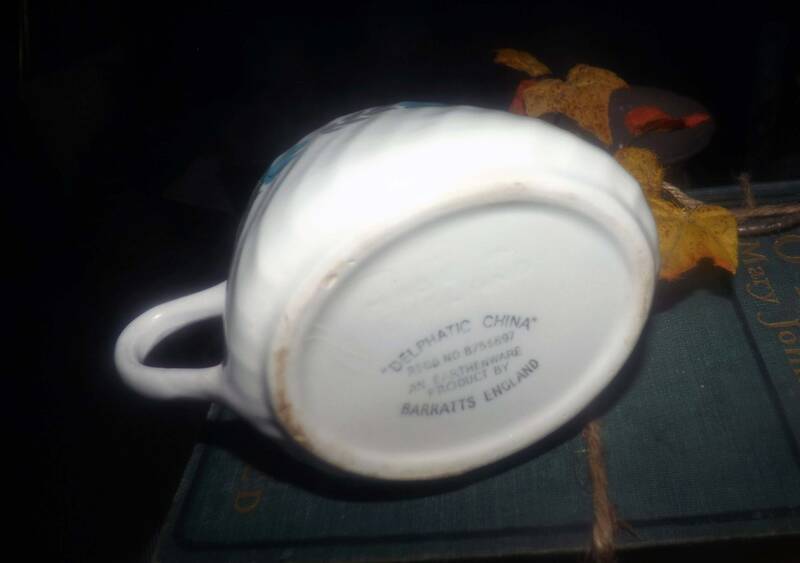 There is some LIGHT wear and browning to the REVERSE of the creamer and some crazing is also apparent (please review the posted photos for a complete visual of the items) but they are indeed LIGHT. 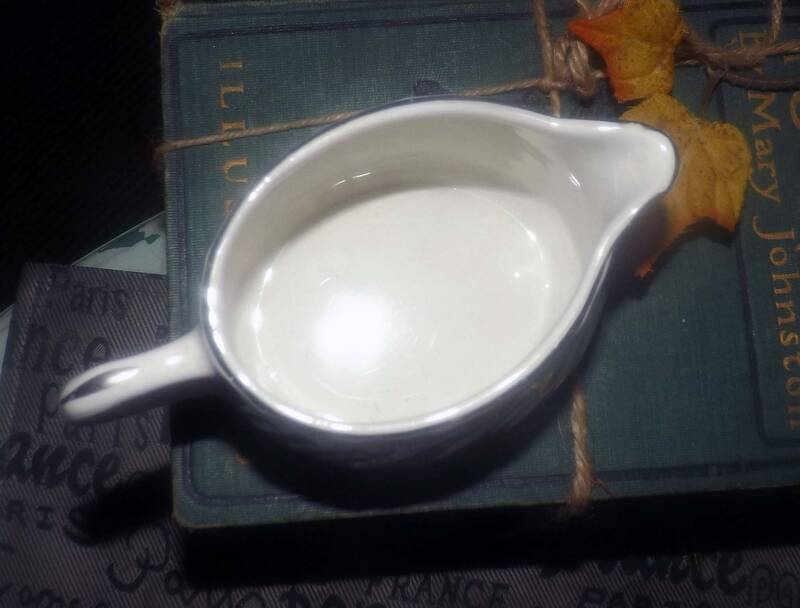 Approximate measurements: creamer stands 3" x 5-1/2" across (handle to spout) with a smooth, platinum edge.